Quick Payment, Confidential, Safe with Well-Known Collector, Dealer and Author! 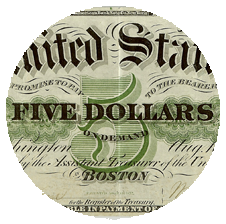 Pierre Fricke has collected, traded and dealt in U.S. large cents, bust half dollars and other coins for over 40 years. He has been a collector of Confederate paper money for 17 years. Pierre built a collection of over 1,000 notes. 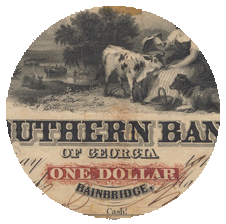 Pierre has collected and dealt in the finest Confederate and Southern States types, varieties, military issuers, stamps on backs, etc... 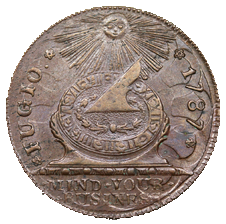 He put together a collection of 50 Fugio copper varieties and a 150-example collection of large cents by color. He has expanded into US Civil War era currency and coins, obsolete bank notes. Pierre has a great deal of experience with grading, hard to attribute varieties, and trading fairly. Please contact me and let's execute a win-win deal! Click on topic area to explore what we are buying. 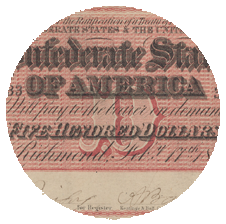 We are the strongest buyers of choice type notes, many of the rare variety, "RV" notes, and as many of the "NC" notes featured in Collecting Confederate Paper Money - Field Edition 2014 by Pierre Fricke. If you have these notes and are selling (or even just looking to get them listed in the condition census) please contact me. I am particularly interested in major and minor errors, Whatman and Wookey Hole Mill watermarks, and other rarities. I pay strong prices these notes and, in particular, for potential "condition census" material. Most Choice Very Fine to Choice Unc 1861-1864 type notes and rare types such as the Montgomery notes in most any grade. Contact me for more details! We buy most varieties, especially in Choice AU and Choice Unc. Also, Buying most military and place issued examples and paying strong prices in most grades! Check the back of your notes for these. We are also interested in Trans-Mississippi notes issued by General Kirby-Smith which include red and black round and straight line re-issue stamps as well as re-issued in Houston and Shreveport. All types. Also, we are a very strong buyer of "Kromer" ad examples (on the back) as well as Upham imprints (in the margins on the front). Especially choice/gem examples. 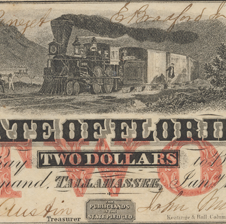 Also Florida, Georgia, Mississippi, Texas and Virginia are specialties of mine and are looking for some of the rare notes in a variety of grades! We are buying most all obsolete currency with a focus east of the Mississippi River. 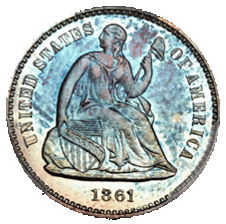 Large type in PCGS or PMG AU 50 or better with full frame lines and strong color. No problem notes except for 1861 demand notes or $50 Hamilton or $100 Eagle notes. Looking for nice examples of common to rarity 5 varieties in Fine to Choice Unc. Am a strong buyer and maintain the largest inventory of any dealer. Strong buyer of 1793, 94, 96, 99, 1804, 1808-14, 1816-35 large cents in all grades. Looking for 1793-97, 1800, 1802-08, 1809-11 large cents in most grades. Looking to buy most all half cents. All PCGS certified NGC 2017 holder+ and CAC coins as well. Looking for common dates MS-64 and better; rarer dates in XF-AU and some MS.